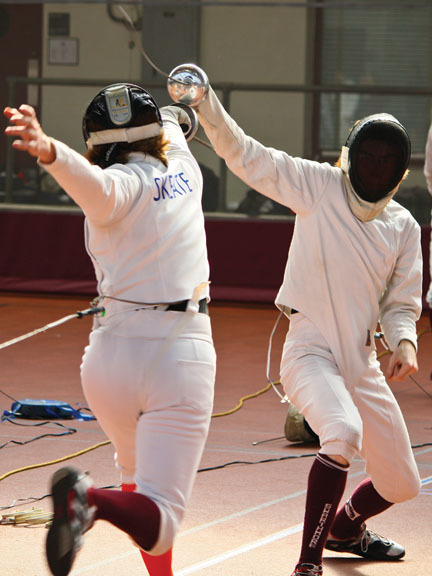 In February, Swarthmore hosted the Southern Atlantic Conference Fencing Championship at the Lamb Miller Field House. Teams from 13 institutions from New York to Florida participated. In the largest of four regional tournaments leading to the U.S. Association of Collegiate Fencing Clubs Championships, the Swarthmore female and male teams established themselves as a force to be reckoned with. Several competitors from both teams (including the Garnet’s Andrew Zimmerman ’11, on right in photo, taking on an épee opponent from Virginia Tech) won individual medals, with the Swarthmore women garnering the gold medal and the men the silver, resulting in a second place finish overall. 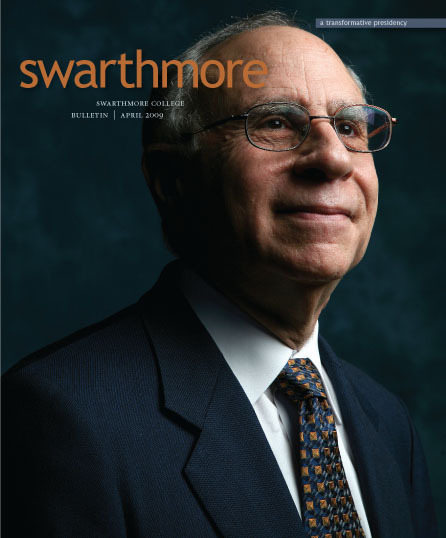 The 2009 SAC marked the first time that the Swarthmore squad had hosted a major collegiate fencing tournament. Plans are afoot to host the national tournament in 2010.